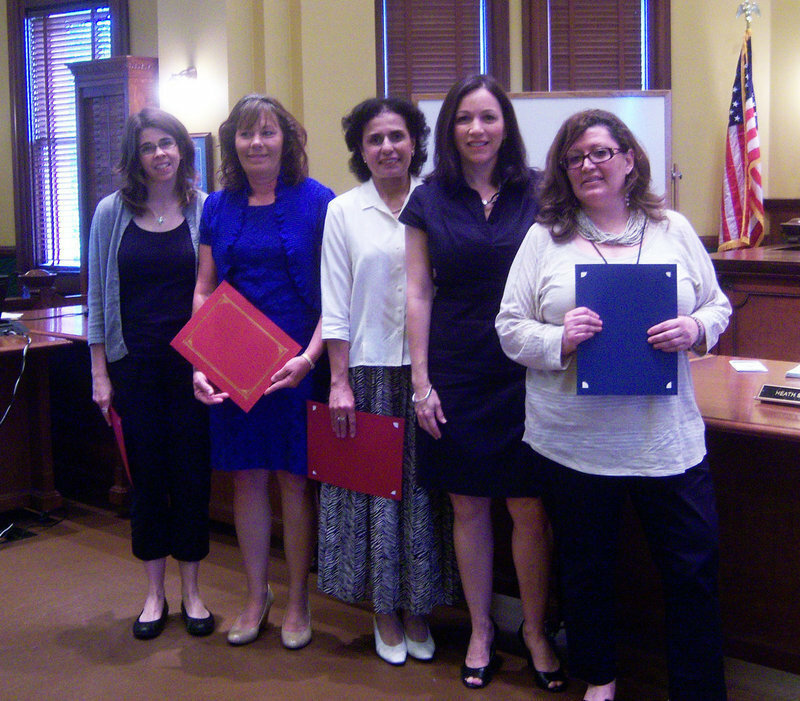 Declaring the week of April 9 through April 13, 2012 as National Library Week in Ellis County, the Ellis County Commissioners’ Court took a few minutes to recognize the work of several volunteers in the County’s Law Library. Bush also thanked Assistant County Attorney Ann Montgomery, who provided guidance as the library was being established in the new courts building on Jackson Street. The three volunteers named in Bush’s proclamation were Helen Kessler, who has volunteered 731 hours; Safaa Cloud, who has volunteered 203 hours; and Kristi Jurek, who has volunteered 87 hours, for a total of 1021 hours in the last 15 months. “This has been a real boost for the public, and it would not be possible if it weren’t for the four of you sitting here today,” Bush concluded. The Court also approved a Memorandum of Understanding with the Center for Rural Development and the United States Department of Justice, National Institute of Justice, to authorize the use of a Tecnam P92 Eaglett N911TE aircraft by the Ellis County Sheriff’s Office for law enforcement purposes, pending legal review. Brearley told the Court that the aircraft is supported entirely by volunteer pilots with many years of experience, as well as a volunteer aircraft mechanic. The only cost of the aircraft is maintenance and fuel. The aircraft was in the air approximately 85 hours in the last 12 months. Held a short executive session with no action taken.